Metal 3D Printer I เครื่องพิมพ์ 3 มิติแบบโลหะ I Thaisakol Group ตัวแทน Desktop Metal แห่งแรกในไทย Jigs & Fixtures: Why 3D print? 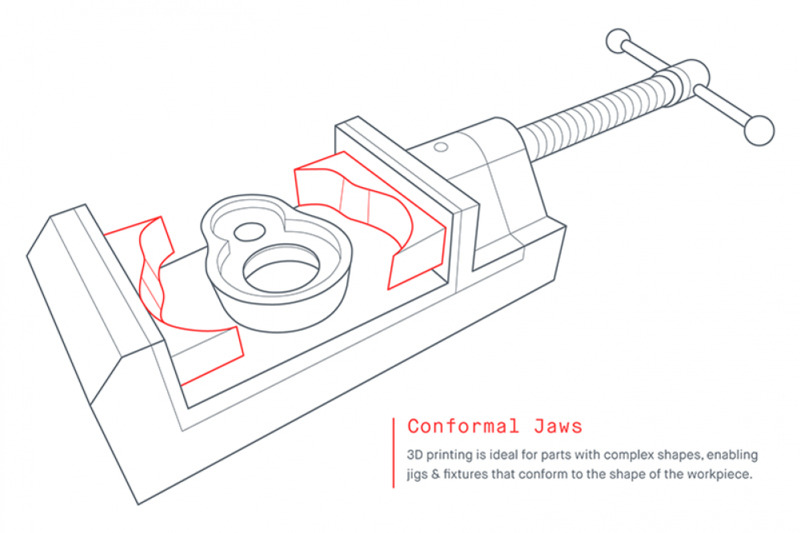 Jigs & Fixtures: Why 3D print? Essential to lean manufacturing, jigs and fixtures ensure repeatability and precision in parts and assemblies—but producing them can have major implications for product development cost and lead time. Metal 3D printing plays a significant role in optimizing the production of custom jigs and fixtures. 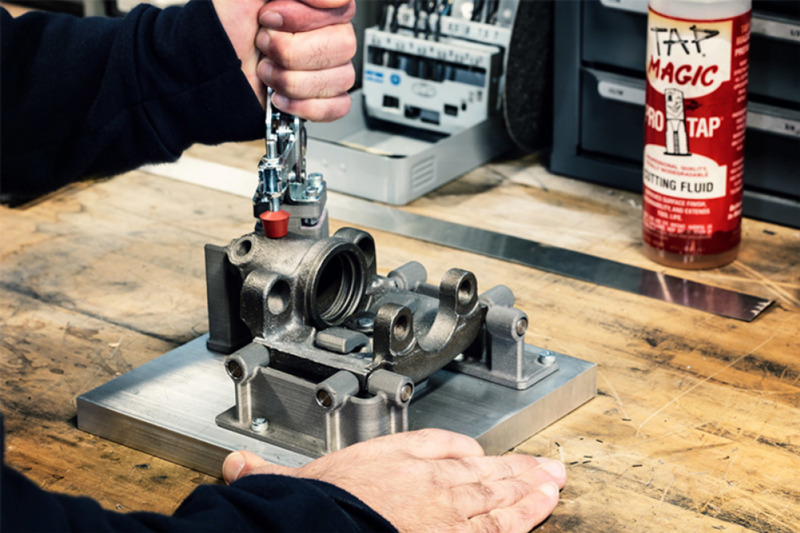 Jigs and fixtures are tools that hold, support, and/or locate a part as it is being manufactured or machined—the difference being that a jig also guides the operating tool. They are used for part assembly, welding, workholding, or other subtractive manufacturing methods like milling and turning. Part manufacturing can include many operations, such as machining critical dimensions, broaching or boring holes, and welding, assembling, and measuring parts. As production volume increases, so does the need for consistency and reliability across all manufacturing operations to make sure parts and assemblies will perform in their application. A jig or fixture is used to facilitate an easier and repeatable process that eliminates the need for a highly-skilled operator, which results in lower manufacturing costs and a shortened the product development timeline. For ductile parts—such as plastic, sheet metal, and those with thin walls—using common workholding solutions may cause local deformation. 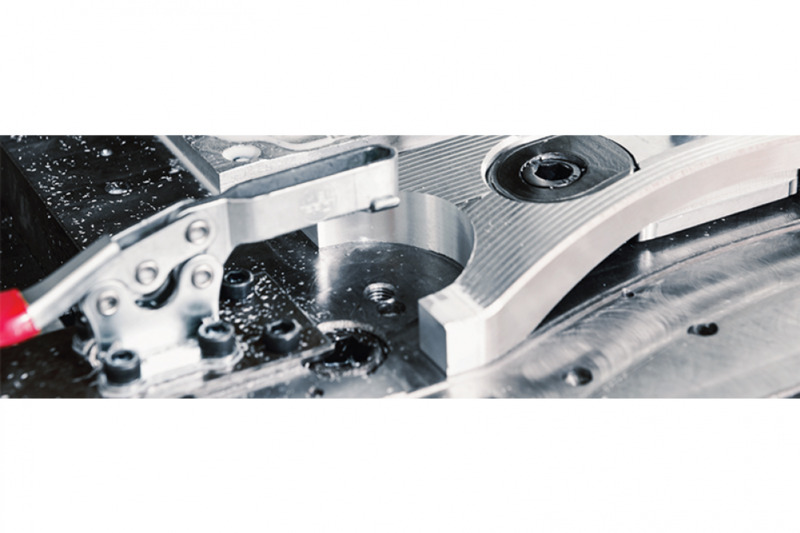 Conformal jigs and fixtures are ideal for these situations as they, by definition, conform to the shape of the part and provide even distribution of the clamping forces. When using traditional manufacturing methods to produce jigs and fixtures, creating intricate or conformal shapes can be extremely challenging. Traditionally, the production of jigs and fixtures can be difficult, expensive, and time-consuming—especially if it requires outsourcing to a third-party manufacturing firm. Additive manufacturing allows for greater design flexibility. Cost and fabrication time do not necessarily increase with part complexity, so conformal jigs and fixtures that meet the needs of the application can be much easier and cheaper to produce. Additionally, processes like Bound Metal Deposition™ (BMD), enable print-in-place assemblies and part consolidation, further simplifying the fabrication process. And compared to traditional manufacturing methods, 3D printing does not require a dedicated operator. Another benefit of BMD is the ability to print parts with closed-cell infill. Metal parts that must withstand high heat and/or loading can leverage infill for lightweight strength while adhering to the application requirements. By bringing the production of custom jigs and fixtures in-house, manufacturers realize a significant reduction in lead time and increase production bandwidth by opening up other machinery in the shop. Eliminating the need for third-party machine shops enables rapid design iteration to optimize the jig or fixture for the specific need. While there have been advances in plastics, many jigs and fixtures require metal to accommodate many manufacturing operations and adhere to the application environment. Plastic parts will distort under high heat or when exposed to abrasives, making them unsuitable as jigs and fixtures in these conditions. Additionally, metal is much stronger, stiffer, and more durable than plastic—so for cases in which a significant force will be applied, metal jigs and fixtures are required to prevent deflection and preserve repeatability. Other metal additive manufacturing methods, like Powder Bed Fusion (PBF), present processes that are too costly due to expensive hardware and materials. Also, they require several secondary operations which add to labor costs and lead time. Even for manufacturers who have PBF machines in-house, using them to produce one-off jigs and fixtures is not cost-effective. With the Studio System, users can produce these parts quickly and affordably. Custom jigs and fixtures are an essential component to lean manufacturing. 3D printing offers the design flexibility to produce custom jigs and fixtures while in-house metal 3D printing makes it possible to lower production costs and timelines. This eliminates the need for a dedicated operator or third-party machine shop, and increase bandwidth of other machinery on the shop floor.